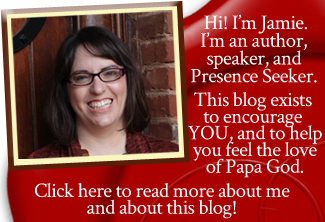 Have you ever been in a season of favor, then had that favor seemingly stripped from you? Are you waiting for your godly dream to happen, but instead of seeing increased favor, it seems like you get to go through a season of death? If yes, you’re not alone. I think everybody in the Body of Christ goes through that. The problem is that some people get to go around and around that same mountain, wandering in the wilderness for years like the Israelites did, because they don’t know how to handle the ebb and flow of favor. However, if we will learn how to keep our hearts before God in seasons of favor AND in seasons where favor seems far from us, then God can trust us with promotion. Related: Are You Ready for God to Promote You? Sometimes I come across a prophetic word that is so timely, and so healing, that I just have to share it. Today’s word from Julie Meyer is one of those. If you answered “yes” to either of the questions at the top of this post, this word is for you. It’s going to bring healing to your heart. You’ve been longing for favor–or maybe wondering what happened to your favor–and you didn’t realize that God was at work through the whole thing. 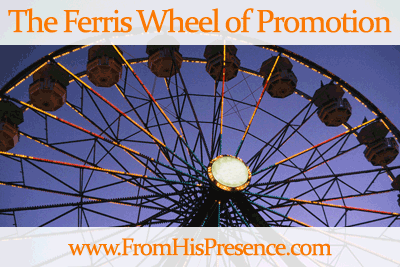 Where are you on the ferris wheel of promotion? Hang in there! God will come through for you!